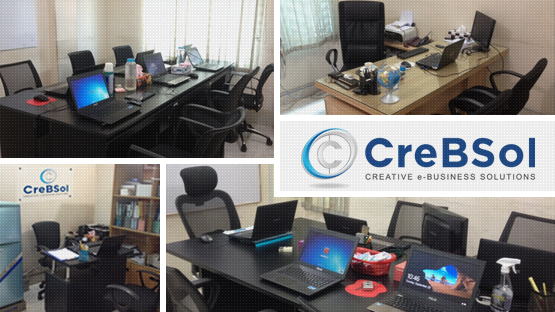 Crebsol Ltd stands for Creative e-Business Solutions Ltd, founded in 2009 on Dhaka, Bangladesh. We always suggest the best ways to extend your brand into the digital realm. You are passionate about your business, and we are excited about what your business can do in a digital world. Crebsol Ltd are here to provide professional web-based services, ranging from custom web designs to fully functional dynamic rich websites. Providing the ability to integrate clear, functional, and creative interfaces with technical, business solutions, Crebsol Ltd was launched to strategically help build your brand, improve your global web presence, and develop more meaningful relationships with your customers. Its nothing but our hard-work, creativity and honesty helps to obtain this place where we stands right now. We’re the best at what we do and we will deliver the results you need for your clients. Let’s make something amazing together. We are exactly the way that you want. Talking about our problems is our greatest addiction. Break the habit, Talk about yours. "We are exactly the way that you want." Never promise what we can't deliver. Nothing weights lighter than a promise. We make commitments and always keep. You can rely if we commits something. Changes will be made until you are satisfied. Its never late to ask changes, we are ready to keep changing untill your satisfaction. Sometimes things look good to us which can be better by making some changes that we always appreciate. Support available after full delivered. CreBSol always providing support when and where you need it. We do beleive in long term relationship with our clients which demands the after project completion support. This strategy makes a number of recuring client at CreBSol. Trustworthiness is shown in someone's actions not just words. We are honest at work, reliable to share, never cheat and lie with clients. We are very much open and openness increases the trustworthiness. Eodem modo typi, qui nunc nobis videntur parum clari. Claritas est etiam processus dynamicus, qui sequitur mutationem consuetudium lectorum. Mirum est notare qu	Read More. CreBSol is a software development company specializing in the creation of technology solutions for web, mobile, desktop and server platforms. Our innovative app	Read More.